Last summer myself and a few friends came up with an idea to start an open air market for artists and craftsmen. In the beginning it was something we had no clue would ever be more than just talk around a table between friends. With each day we see that it's taking shape and it will soon come to life. March 21,2015. We wanted to create a once a month event for artists, craftsmen, growers and makers. We promote handcrafted and American made products. So we are looking for the artisans in the community as well as those that grow their own produce, flowers, potted plants, seedlings and during the holiday season we would want someone to sell Christmas trees. Makers would include soap makers, candy makers and bakers and more. The venue we are using is just perfect, it's located on a two acre park adjacent to the Port of Leonardtown Winery, it has easy access and free parking. 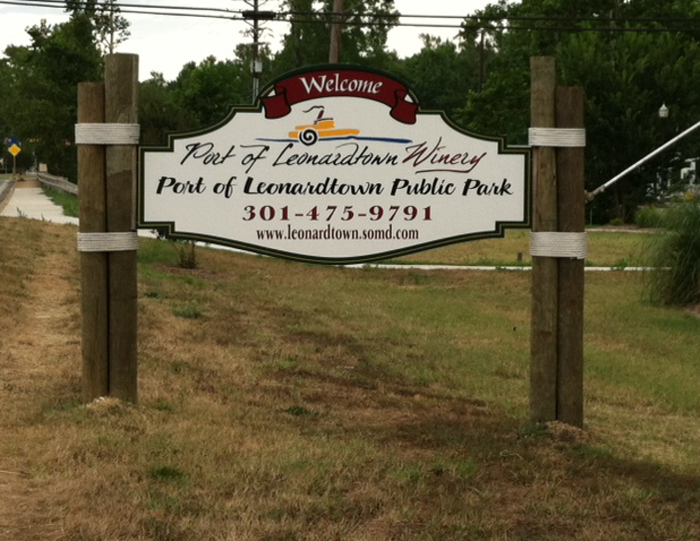 The Port of Leonardtown Winery is a popular weekend destination that is open all year. It's perfect for those who love good wine, friendly people and live entertainment on the patio each Saturday evening from 5:00 to 8:00 during the spring, summer and fall months. We have decided that we will not allow manufactured items to be sold, so we have asked everyone to send us pictures of their work and work space. This assures that everything sold will be handcrafted. We have gotten some wonderful pictures from some very talented people and several people have signed up for the months they plan to be with us. For a small fee we offer to showcase our vendors on our website and Facebook page and here on this blog. We plan to do this once the market is up and running so we can get good pictures or video's to share with the public so they will have an idea of what the market has to offer and give them a reason to want to out come out and shop with us. As each month has gone by we have gone through all the necessary things that have been needed to start a business such as this and we have gotten quite the education a long the the way. I hope we continue learning new things from the artists, craftsmen, growers and makers each month as more and more people find their way to the Coastal Arts Market.